In my previous blog i touched base about gifts for Mums, but this blog is for the kiddies, idea’s for Grandma, idea’s for Dads to get crafting with the kids, gifts to make Mum smile. What Mum doesn’t love a Pasta necklace or a replica hand print Picasso? Below are my TOP 5 gifts for kids to DIY. Crown for the Queen – DIY crowns for Mum and Nan to wear on Mothers day. card board – sticky tape – glue stick – and any decorations like feathers, glitter, pompoms to decorate, be creative! Pasta Necklace – Every Mum needs a pasta necklace at least once in their lifetime. Penne or Macaroni Pasta – Paint or texta’s – String or Elastic. Loving Notes Jar – This is a really sweet idea, my favourite out of the 5 and would be a perfect family gift. Empty Jar – Small square pieces of paper – Coloured pencils – Ribbon Write all the things you love about your Mum on the pieces of paper and fill the Jar, label the jar. 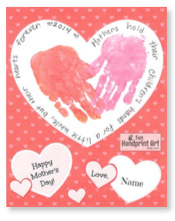 Home Made Card – The best card is a home made one, even still now as a adult I make cards, get creative use paint and colour and write something that comes from the heart. 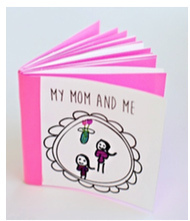 Story Book – Story books are perfect for the older children to really use their imagination and get creative. This will be a book Mum will keep forever. A book will also be a great family activity to get involved with.